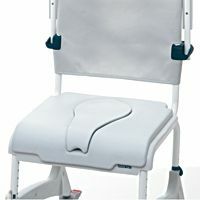 The Aquatec Ocean Collapsible Transit Shower Chair Commode is extremely versatile with features such as adjustable footrests and seat height. The chair is completely resistant to corrosion even when used in salt water or chlorinated water. 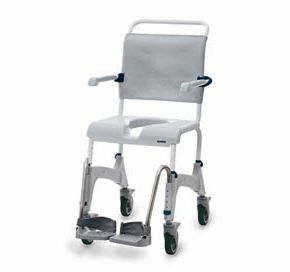 The chair can be used as a commode and is supplied with a sanitary pan and holder. 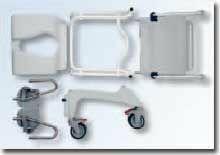 The castors are lockable so that the chair remains stationary during transfers. The chair is also supplied with a soft seat cover and insert. We purchased this shower chair to replace our existing old one, this is so much better built and a far more stronger chair than our old one, good to have the option of the extras available with this too . Very impressed.